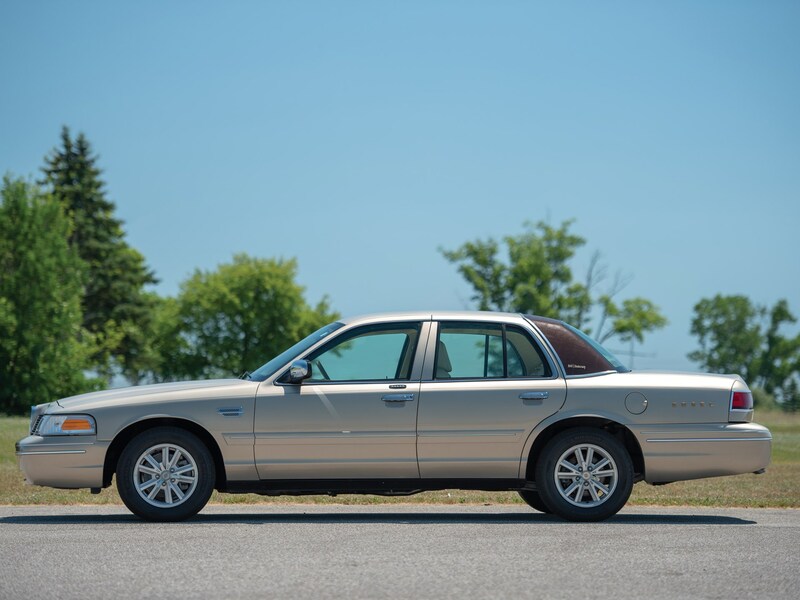 RM Sotheby's auction house has quite a unique lot on its hands with this 2008 Ford Crown Victoria. Clearly, this is no run-of-the-mill, wannabe cop car—instead, it's a rare Edsel 50th Anniversary Tribute. 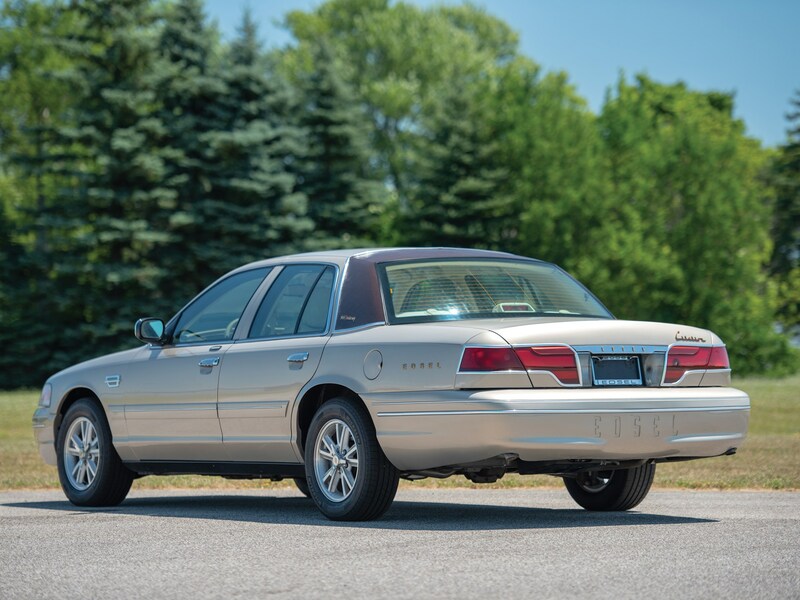 This list of changes is most notable at the front where the traditional Crown Victoria bumper has been reworked to incorporate the iconic Edsel horse collar grill. He then flanked it with parts of an original 1958 unit. Next, the rear bumper and lights were changed in favor of even more throwback equipment. Mr. Cerame had the taillights custom-made for this project to pay homage to the model of yesteryear and the rear bumper is embossed with, you guessed it, "EDSEL." Custom badges adorn the rear quarter panels and trunk lid. 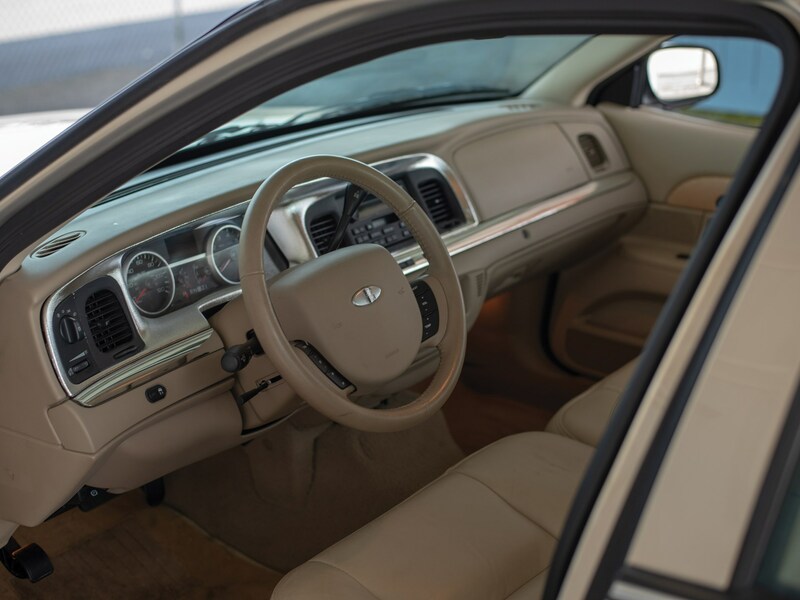 Inside, you'll find cloth seat and door panel inserts, as well as a custom gauge cluster. The steering wheel and rims have also been refitted to feature Edsel logos. 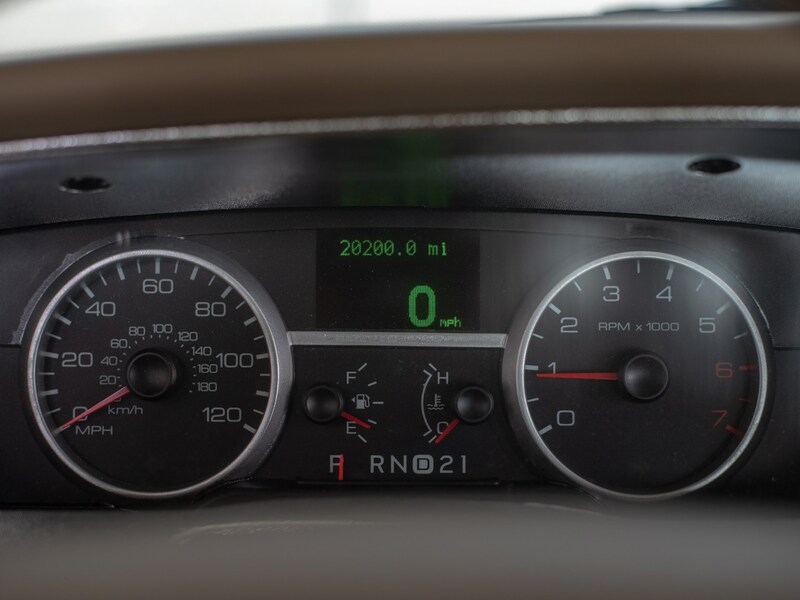 In all, the car has just over 20,000 miles on the odometer. It features an Interceptor-spec 4.6-liter V-8, making 210 horsepower while pairing to a four-speed automatic transmission. The rear-wheel-drive layout matches the luxury and comfort of its predecessor, creating a worthy tribute to the almighty Citation model from the '50s. The 2008 Edsel 50th Anniversary Tribute car will go up for auction on August 31, 2018, at the Auburn Fall 2018 Auctions in Auburn, Indiana.